Late this past year Delarise and Neika joined our Celebration Gardens family! 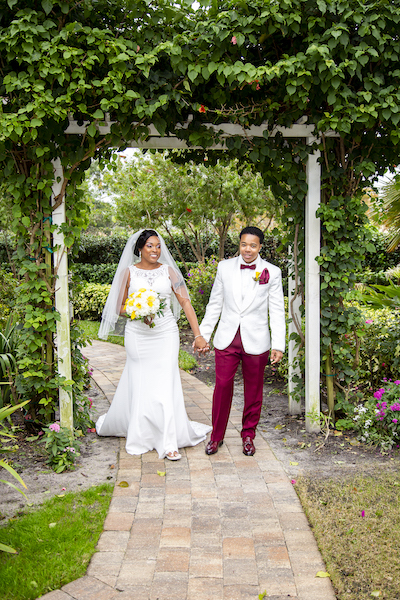 They came to Orlando from the Bahamas to be married in an intimate wedding ceremony and we loved working with them on their destination wedding. 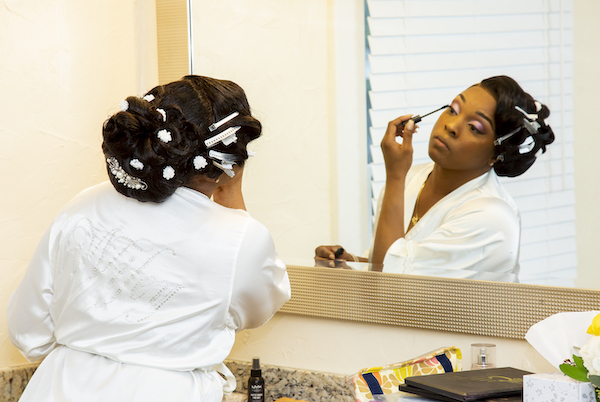 The bride’s along with a few guests enjoyed a personalized and stress free wedding. 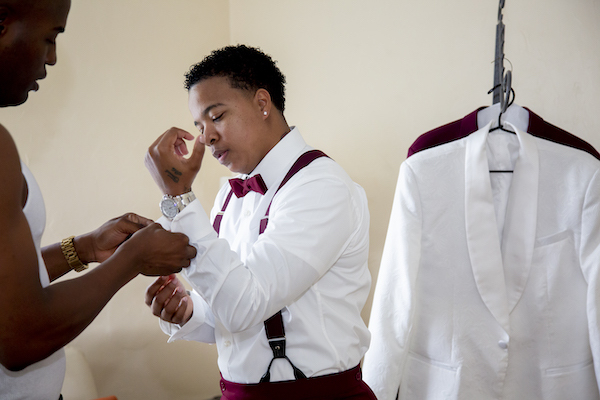 Each of the ladies was able to have their own ready room to relax and dress for the big day. 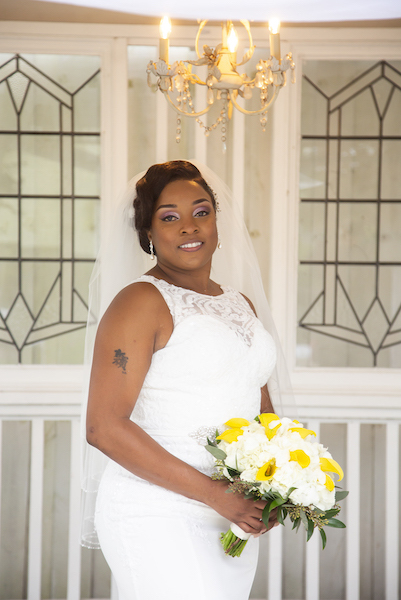 Our partners at Atmospheres Floral and Décor created a beautiful handtied wedding bouquet of bright yellow miniature calla lilies and white hydrangea for Delarise. 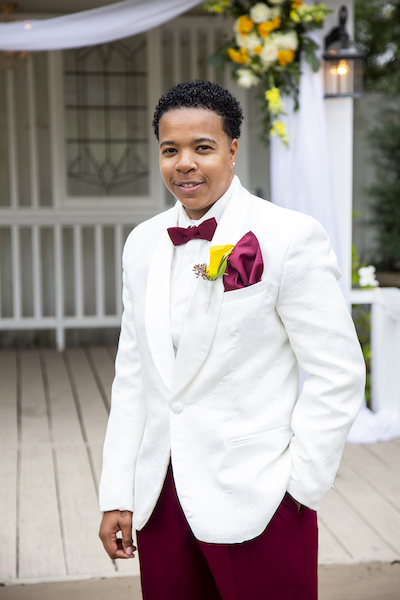 Neika had a boutonnière of a single yellow bloom with seeded eucalyptus to compliment her look. 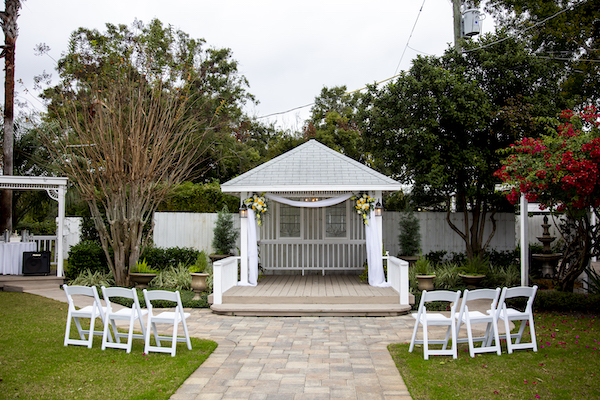 The Wedding Gazebo was the perfect location for their wedding ceremony and was draped with soft white fabric with floral swags in yellow and white. 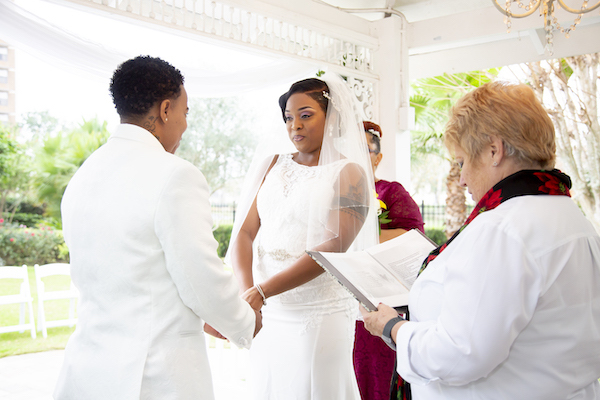 Orlando wedding officiant Peg Prikosovich officiated the intimate yet very personal intimate wedding ceremony, witnessed by their honor attendants and guests. Our Celebration Gardens team worked long distance with the couple on all of their planning details. The ladies also opted to add on our License Service, where we obtain their marriage license for them in advance of their arrival. 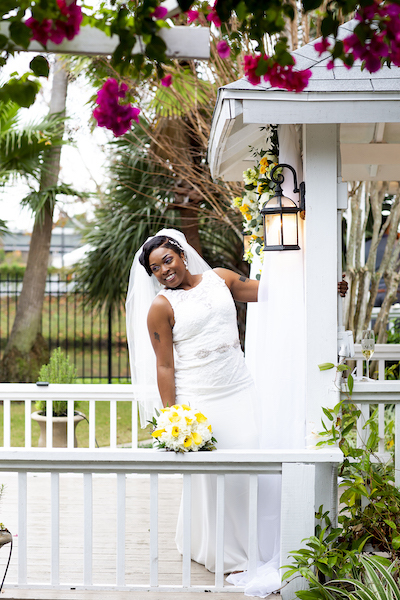 Perfect for any couple coming to Orlando for a destination wedding. 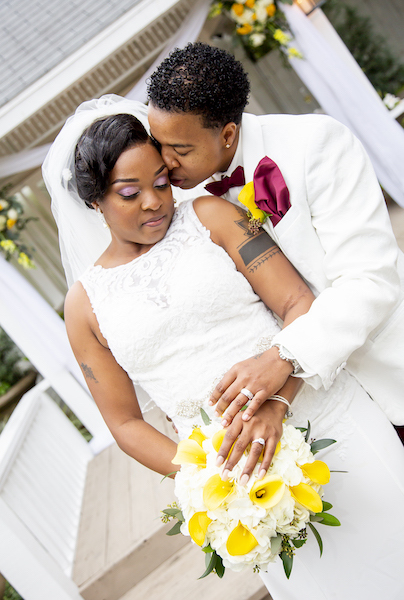 After exchanging their wedding vows Delarise and Neika enjoyed our beautiful gardens for some wedding portraits as well as photos with their special wedding guests. 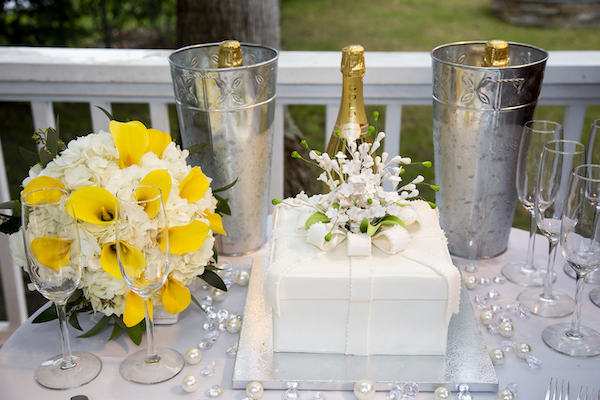 As their day wound down the ladies and their guests enjoyed a champagne toast with this delicious white, gift box wedding cake by It’s Tasty Too. 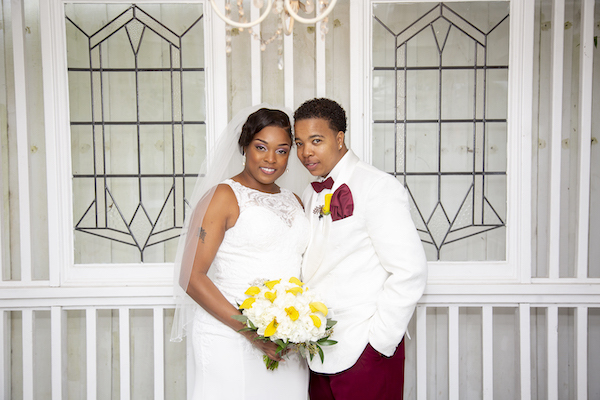 Congratulations Delarise and Neika! We are happy to have you as part of our Celebration Gardens family! 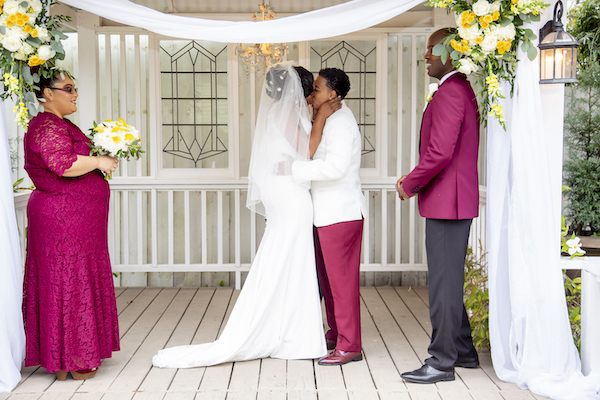 Thank you to Sterling International and Sugar Pop Films for capturing this beautiful wedding day.